Recently, I handed in a story on how to avoid being pick pocketed and what to do if it happens to you. The piece also involved me: I had my wallet lifted from my purse. Inside in a cathedral. In a city I had arrived in two hours beforehand. Usually when I travel, I’m pretty guarded about my stuff. I use a money belt, hiding in it my passport, extra cash and bank/credit cards. Sometimes I’ll do a quick pat around my waist, as a sign of reassurance that it’s still there. This summer, I was jaunting through Germany, starting in Berlin and finishing in Munich. I was on the D-Bahn (Germany’s major railroad system) a lot, and just had gotten to Cologne (or Kohn), the third stop on my trip with my cousin. 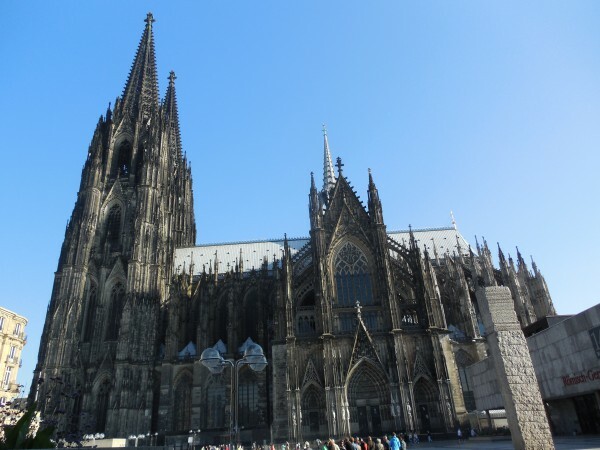 We only had planned to spend a day and a half in Cologne so when we got there we headed straight to the Cologne Cathedral, the city’s landmark. Inside this massive Gothic church, you can spend a good amount of time walking around and gazing at stained glass windows, sarcophagi, and mosaic floor tiling. You can also go down into its crypt. Being the shutterbug that I am, I was constantly opening my purse and switching between my camera and iPhone to snap photos of pretty much everything. Then, somewhere in between coming back up from the crypt and on our way out, my purse got lighter. My wallet was missing. So were my day’s worth of Euros (thankfully my passport and most of my cash was still in my money belt), and my health insurance card. My credit card was gone too (I had taken it out to show to a D-Bahn conductor and then put it back in my wallet instead). Panic ensued. Furiously dug through purse. Nope, my wallet was gone. I chased down one of the cathedral’s priests, blurting out what had happened. His response was immediate: Pickpockets often target visitors in and outside of the cathedral. He told me to go to the police station to file a report, which was located a few blocks away. At the station, the 20-minute wait in the lobby seemed like forever but I used the time to quickly call my credit card company and reassess what I still had. The police officer that met with me was helpful. He explained that pickpockets hovering around that area often go for wallets to get the cash. They literally toss away emptied out wallets, even in garbage cans (yes, I did peek in them). He also met with visitors who had ALL of their money on them, ALL of it stolen. Don’t get me wrong, Cologne Cathedral is still worth visiting. 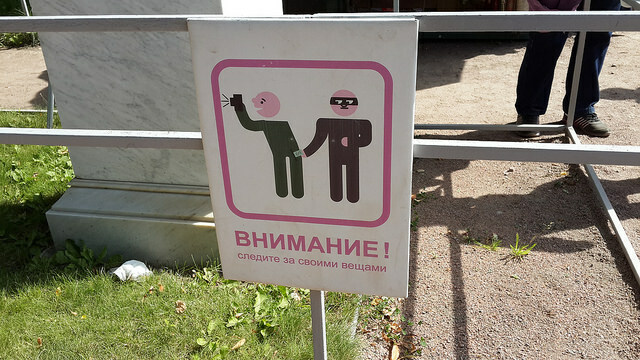 It’s also good to be reminded of the fact that pickpockets can target any traveler. Even experienced ones. They use many ploys: bumping into you and reaching into your bag or pockets, distracting you or grabbing and going with your item, among others. Or they seize upon the key moment: you’re not paying attention. They scope out well-crowded areas like public squares, street performances, and landmarks. Even public transportation is fair game. Here are tips for safeguarding your essentials before your travel — and what to do if they get stolen. Make photocopies of your passport, driver’s license and credit card as well as the phone numbers of your bank and credit card numbers and cellphone carrier and keep them in a separate place. Also save them and email them as PDFs to yourself. If possible, give them to someone you can trust with your private information. Don’t carry all your cash, cards and documents in one place. Spread out these items in different yet secure places like your hotel safe or a hidden pocket in your suitcase. 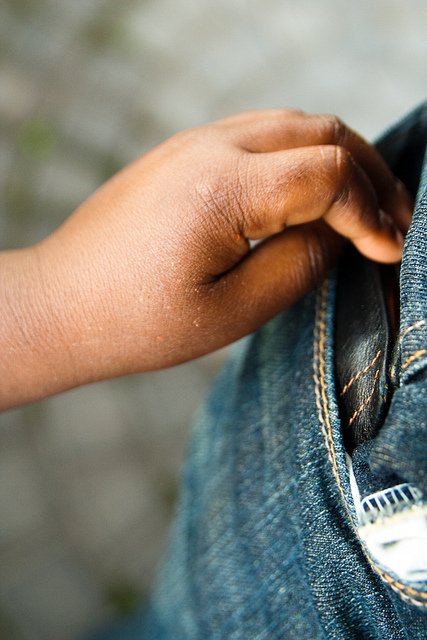 Get a money belt or consider buying clothing with hidden pockets. Take out just what you’ll need for the day and/or night. Pay attention to your surroundings. It’s easy to get distracted in places like museums, cafes or transportation hubs but always, always, keep your stuff in check. I use a purse by PacSafe, which can be hung directly in front of me. Also ladies, don’t hang your bag on the back of your chair. Consider signing up for Skype. If your phone is taken, Skype can be another way for contacting people and companies from another country. Cancel your bank/credit cards/cellphone immediately. Request for your company to overnight new bank/credit cards to your hotel or, if not possible, see if your cards can be sent to family members. Need cash stat? Contact someone you can count on to wire money to you via Western Union. Go straight to the police. A police report can help with travel insurance claims and can be used as proof for companies such as your cellphone or insurance providers. If you’re in a public place when a theft happens, scout out restaurant or hotel staff, store employees or ticket agents, as they most likely can help direct you to the nearest station. Contact the U.S. Embassy or Consulate. If your passport is stolen, as well as all the identification you have, get to the nearest embassy or consulate so they can help provide an emergency-only passport. Stay calm. Although the initial shock fades, the after-feeling of being robbed lingers for a while. It’s easy to say to push it aside, but taking steps to deter and/or deal with theft will put eventually put your mind at ease. Enjoy the rest of your travels! This entry was posted in Solo Travel and tagged getting pickpocketed, how to avoid pickpockets, money belts, stolen passport, tips for avoiding pickpockets, what to do if you get pickpocketed on October 3, 2014 by She Is Going Places.